The X Session of the Igman Initiative can truly be referred to as historic. For only the second time since the signature of the Dayton Accords, the three heads of state have come together for a summit meeting. Needless to say that this was the first time ever that they have met at the invitation of a group of non-governmental organizations. 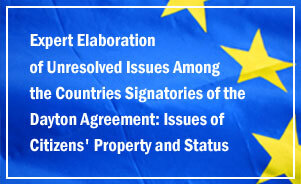 Even more significant was the signing of the “Tripartite View of the Present and Future”. This document, drafted by the experts of the Igman Initiative provides an overview of the current situation in the region, plus provides a general outline for future cooperation between these three states. This was the first such joint document signed by these three presidents since the Dayton Accords almost ten years previous. 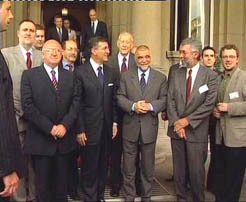 In the joint statement, it was emphasized that full cooperation with the Hague Tribunal is necessary. It is also pointed out that it is necessary to enable all persons expelled and displaced during the war to return to their homes, to protect national minorities, as well as to institutionalize a visa-free regime among the three countries. In his address to the participants of the gathering, Serbia and Montenegro President Svetozar Marovic said that there had been attempts in Croatia, Bosnia-Herzegovina and Serbia and Montenegro in the past months to open old issues from the recent past. Marovic expressed his satisfaction with the fact that all three peoples avoided that trap and confronted it with arguments. “No one has the right to forget the past, but neither to give priority to the past over the future,” stated Marovic. Commenting on the crime in Srebrenica, Marovic underlined that for Serbia and Montenegro this crime is beyond history, tradition and culture of the Serbian and Montenegrin people. He pointed out that any defense of the crime is also a crime. The goal of these three countries is European integration. Ratko Mladic’s appearance in The Hague is a condition for Serbia and Montenegro’s full integration. Head of the OSCE Mission in Serbia and Montenegro Maurizio Massari underlined that it is necessary to condemn war crimes. He emphasized that condemnation has to be followed by apprehension and bringing of indictees to justice. The OSCE Mission will continue to offer assistance in building courts which would process war crimes in these countries, Massari underlined. Since the timing of the session was very close to the 10 year anniversary of the Srebrenica massacre, Aleksandar Popov read a statement drafted by members of the Initiative commemorating the event. Media coverage of the event was incalculable. The summit was covered live by Radio Television Serbia (the first such instance since the inauguration of the President of the Republic of Serbia Boris Tadic). 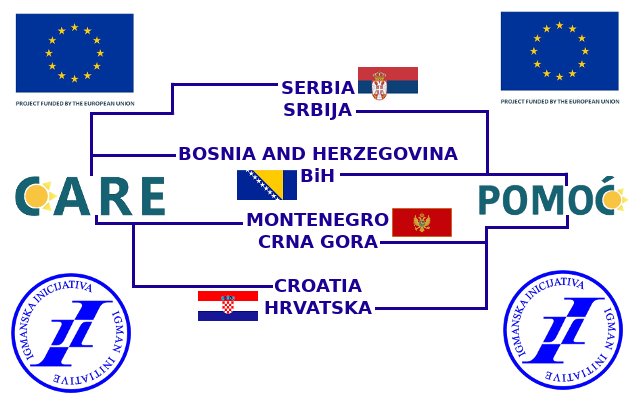 Both Croatian and BiH national television stations started their daily newscasts with the event. The full text of the “Tripartite View of the Present and Future” was published in at least a dozen news dailies throughout the region.